Brand Outfitting refers to applying your logo, insignia, and brand message on everything! ...a very effective way to share your messaging in a subtle manner. This method works very well for items given as gifts (cups, desk accessories, apparel)and useful handouts (pens, note pads, flash drives, etc.). 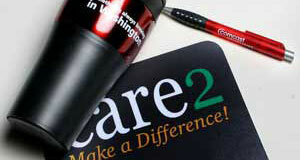 Brand outfitting items work very well with you point-of-sale messaging ideas at trade shows and conventions!